The preparations for Halley Relocation to the new site are now in full swing and more people are expected to fly in to Halley in the next day or two. In the picture the Garage and Tech Services teams are moving containers from their winter storage area (the container line) to their final position for this summer. 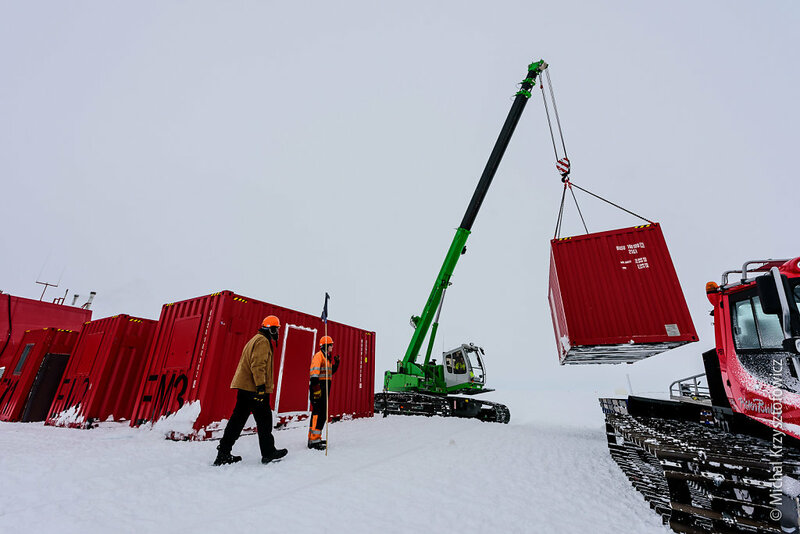 The operation involves towing the sledges, each with a container on top, with a Pisten Bully, next to the Summer Accommodation building, and then lifting them off the sledges with a Sennebogen crane to line them up at their new spot.